Manufactured to our exacting specifications and used in all of our rifles, JP Supermatch™ barrels are turned from 416R stainless steel, lead lapped, air-gauged and cryogenically treated for cold bore shot predictability, minimum thermal drift, outstanding accuracy and extended barrel life. 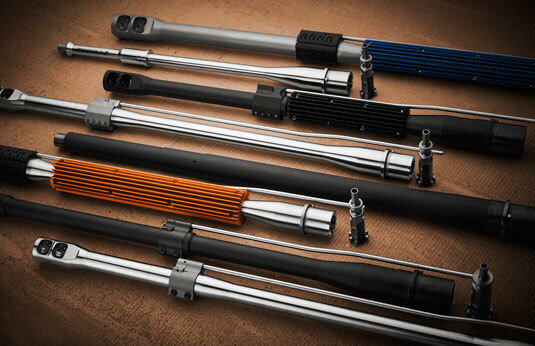 All barrels also include a JP EnhancedBolt™ individually head-spaced to the barrel for flawless fit and function. This barrel takes our short .650 OD Thermal Dissipator (JPTD650S). Note that the Orange Fade Thermal Dissipator is made to order and will add two weeks to delivery. Read more about the JP Thermal Dissipator here.